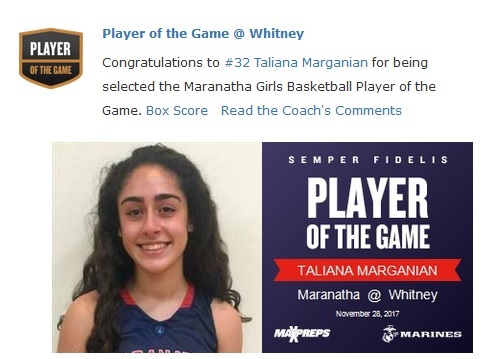 Freshman Forward, Taliana Marganian came of the bench to grab a career high nine rebounds and Super Soph, Patil Yaacoubian led the team in scoring with 14 points but it was not enough to lead the young squad to victory Tuesday afternoon. Junior Forward, Erica De Guzman added eight points and five rebounds. The Lady Minutemen were still without their only senior, in point guard Cherise Masuda who is out sick this week. Next up for the Lady Minutemen are cross town rivals, LaSalle High on Thursday night at 6:00 PM @ the San Marino High tournament.